Lightweight, Solid Foam Cushion For The Adult Caregiver Provides A Soft, Firm Seat Close To The Floor, But Is Wide Enough For Comfort. Cushion Is Covered In Six Different Colors Of Wipe-Clean Vinyl. 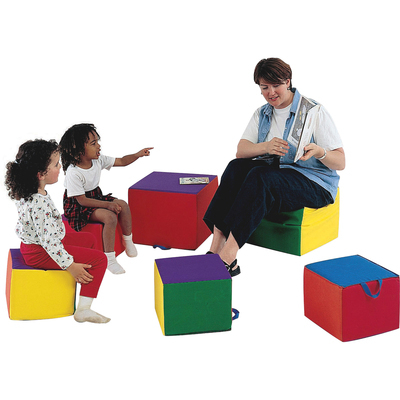 Sewn-In Handle On The Teacher'S Comfy Cushion Offers Easy Transport..